Former Detective Chief Inspector Jackie Preston is bored and makes no bones telling her best friends - semi retired forensic pathologist Fannie May Washington and private investigator Claudia Oldham - just how uninteresting life in sunny Oasis has become. That is, until the three friends discover an old journal in a hidden drawer of a thrift store purchase. Jackie jumps at the chance to finally have something more than golf to think about and is quickly drawn into the disturbing world of a lovelorn young man. 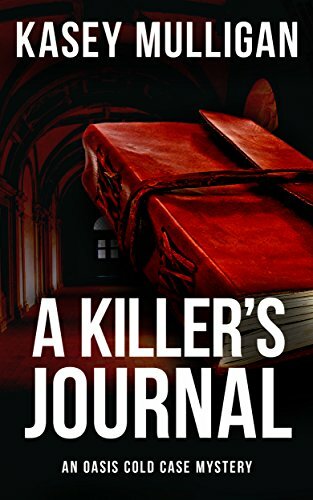 As she digs deeper she uncovers the shocking truth - the journal documents the murder of a young woman. Cryptic notes which don't make any sense at first lead to the horrifying realization the murder victim was a novitiate at a local convent. Unable to convince the Catholic Church or LAPD that a crime has been committed Jackie, Fannie, and Claude are compelled to hunt down the killer and bring him to justice. Just when they think they have the case closed, it slips through their fingers. But what happens next changes their lives forever. This is the first book in the Oasis Cold Case Mysteries. Still reeling from her father’s untimely death, Lauren Kimberly receives a frightening call from a stranger that puts her father’s honor at stake. 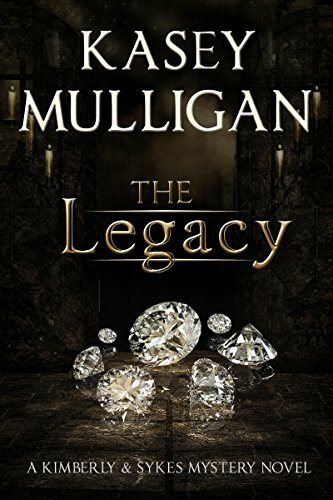 As she follows cryptic clues to find a cache of diamonds and an invention worth millions of dollars, Lauren Kimberly’s life is turned upside down. But she is not alone. The mysterious and handsome Sykes unnerves her: he won’t let her out of his sight. Why? When a chance encounter makes the first clue fall into place, Lauren is relieved she can go back to her life. But Sykes refuses to accept they have found the missing items, even when he has them in his hands. Is Sykes just trying to stay close to Lauren, or is there something else at stake? Lauren’s suspicions about Sykes deepen when he fails to take her to an important meeting. Sykes has stirred feelings she thought were deeply buried and the sooner she can get back to her routine life and far away from him, the happier she will be. The Russian mafia, a crooked executive, a corporate conspiracy. Can Sykes find Lauren before it’s too late?